© Zak Mauger/GP3 Series Media Service. 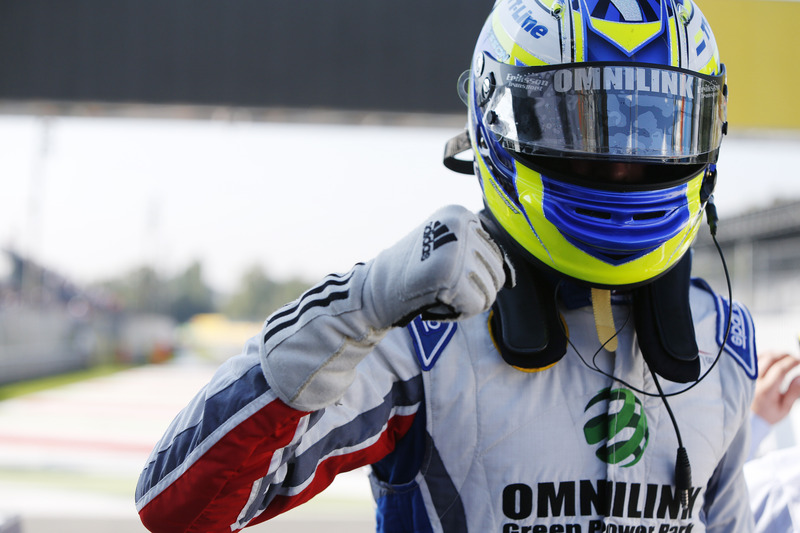 Koiranen GP racer Jimmy Eriksson set a stunning lap late on to take his second GP3 Series pole position of the season. The Swede placed ahead of Dino Zamparelli (ART Grand Prix) and Nick Yelloly (Status Grand Prix) – both of whom lapped three tenths shy of the former German F3 champion. There was some luck for Eriksson however – championship leader Alex Lynn (Carlin) was on his way to displacing Eriksson, only to have to slow down when Alex Fontana crashed just prior to the chequered flag. As a result, Eriksson was well clear of the pack, allowing the Koiranen man to collect four points. Zamparelli crossed the line just seconds shy of Eriksson, having potentially lost time sitting under Eriksson’s rear wing. Yelloly, meanwhile, set his quickest lap some two minutes earlier, but lost his final fast lap due to heavy traffic. Emil Bernstorff continued his positive run with a lap to 4th, while championship challengers Richie Stanaway and Lynn assumed the third row. Kevin Ceccon set the pace in yesterday evening’s free practice session; however the Jenzer racer could not repeat this in qualifying and he will line up 14th as a consequence.